UB Community Development LLC (UBCD), a Community Development partner of United Bank, offers New Market Tax Credits as part of a federal tax credit program enacted by Congress in 2000, designed to stimulate private investment in low income urban neighborhoods and rural communities. UBCD uses New Market Tax Credits to help fund small businesses and finance projects related to education, healthcare, manufacturing, hospitality, non-profits and community centers. The projects funded through UBCD’s New Market Tax credits are creating jobs in low-income communities, providing goods, services and housing options and improving access to quality healthcare and affordable food options in low income areas. Our past performance as an experienced leverage lender in NMTC transactions coupled with our passion for improving the world around us, make UBCD Alabama’s premier financial partner for rural economic and community development. To learn more about New Market Tax Credits or to find out if your project qualifies for NMTC funding, contact us. UBCD’s New Market Tax Credit program and Community Facilities Loan Program options provide funding solutions for community development projects located in qualifying census tracts. To see if your project qualifies or to learn more about the designated qualifying census tracts, click the button below. UB Community Development utilizes its New Market Transaction to provide flexible capital to low-income communities throughout the State of Alabama and the counties of Escambia, Okaloosa, and Santa Rosa County in Florida. UB Community Development will utilize its NMTC allocation to target projects in highly-distressed predominately rural communities that are in direct alignment with the community needs, create quality and accessible jobs in low-income communities through its equity equivalent product and small business loan pool products. Note: This questionnaire relates only to the eligibility and community impact of a proposed transaction for the NMTC Program. This questionnaire is not an application for credit. Please complete the online questionnaire below, or if you prefer, download the PDF here. If multiple addresses are involved please submit a separate listing of all addresses and associated census tracts. Is the project in an NMTC eligible Census Tract? Status (Attach copies of any letters that apply): Disbursed: Funds have been given to the borrower and distributed for use, Commitment Letter: The borrower has received a legally binding commitment from the lender. Term Sheet: Financing contingent on approval and verification of assumptions. The lender is not legally bound. Committee, Board or Public Approvals: The borrower has received approval for private or public additional funding. Application Pending- Borrower has submitted application for funding but has not received a decision by time of this writing. Estimate: An informal, preliminary estimate of available funds. Other: Please explain. Is your business located in any of the following? Census tract with poverty rate greater than 30%? 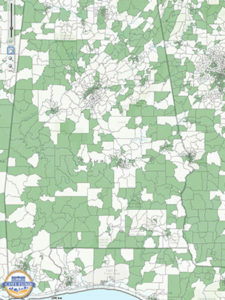 Census tract that (a) if located within a Non-Metropolitan Area, has a median family income that does not exceed 60% of statewide median family income; or (b) if located within a Metropolitan Area, has a median family income that does not exceed 60% of the greater statewide median family income of the Metropolitan Area median family income? If you answered yes above, please provide a brief explanation. Describe and specifically quantify the positive community impact based on the NMTC Program’s objectives: job creation or retention; increased wages or wealth creation for residents of low-income communities; assisting businesses owned by low-income persons or providing goods or services to residents of low-income communities; assisting businesses that provide childcare, health care, educational or other benefits. Address the following questions and provide any supplemental information that would be helpful in evaluating the community impact. What are the expected hard construction costs? How many construction jobs are expected to be created by this project? What is the expected average salary for these jobs? Will the construction process provide job training or other skills to employees of the community? Low-income accessible jobs are based on educational attainment requirements and are deemed accessible if the job does not require more than a high school education. What is the Trade Area in miles from the Project site for these commercial goods and services? If yes, United Bank cannot provide NMTC allocation based on its allocation agreement. If yes, list the number of locations other than the subject, and addresses of each. If yes, list the number and locations where the employees work. I.e. : 100% at subject location or other? Specify locations. Note: At least 50% of the services performed by employees must be performed in a Low Income Community. This will be documented from tax returns, pro-formas or other sources prior to closing. Note: At least 50% of the borrower’s revenue must be earned at the subject location. If yes, list the number and locations where the tangible property is located. I.e. : 100% at subject location or other? Specify locations. Nonqualified financial property means debt, stock, partnership interests, options, futures contracts, forward contracts, warrants, notional principal contracts, annuities, and other similar property specified in regulations; except that such term shall NOT include: (1) reasonable amounts of working capital held in cash, cash equivalents, or debt instruments with a term of 18 months or less, or (2) debt instruments described in IRC section 1221(a)(4). I/We hereby Certify that all of the information in this application, and any other material provided in connection herewith, is true, accurate correct and complete and that if there are any changes in the accuracy or completeness of the information presented herein, such new information will be immediately disclosed in writing. I/We will not rely and have not relied in any fashion on the receipt of or anticipation of the receipt of an allocation of tax credits as a result of this application. I/We hereby release and discharge United Bancorp of Alabama together with their subsidiaries, affiliates, employees, agents, consultants, directors, and other related parties, from any and all rights and obligations, duties, claims, debts, actions causes of action or liabilities arising out of, or relating to, the seeking or receipt of a New Market Tax Credit allocation and related documents.